Terraced garden ties together the existing residence with a garage converted to a design studio. 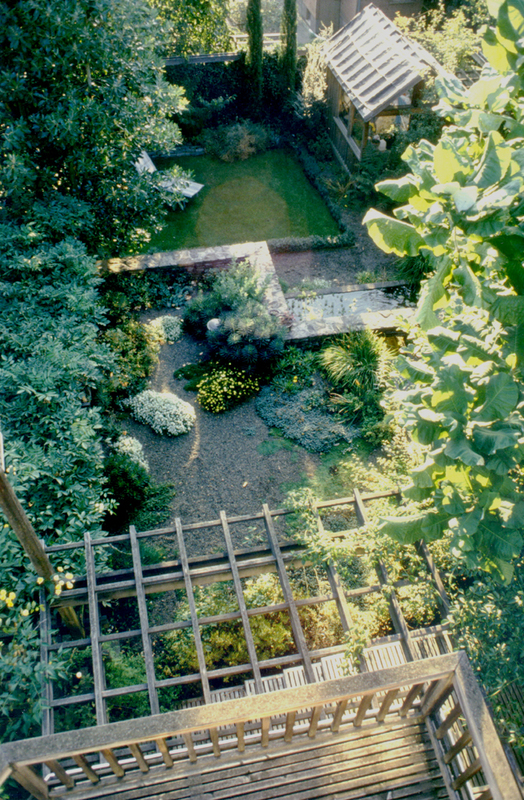 Extensive use of wood decks extend living space out into garden and an overhead trellis affords privacy from 3 story neighboring houses. 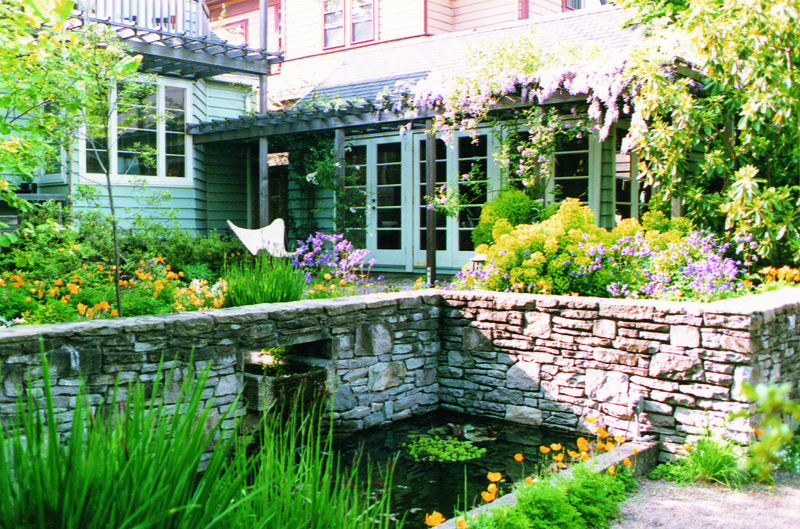 The garden includes a rill spilling into a fish pond, a formal lawn, and a small greenhouse.